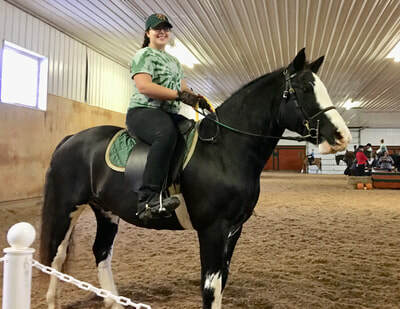 At Highland Ridge Stables we teach English Saddle Seat horseback riding. 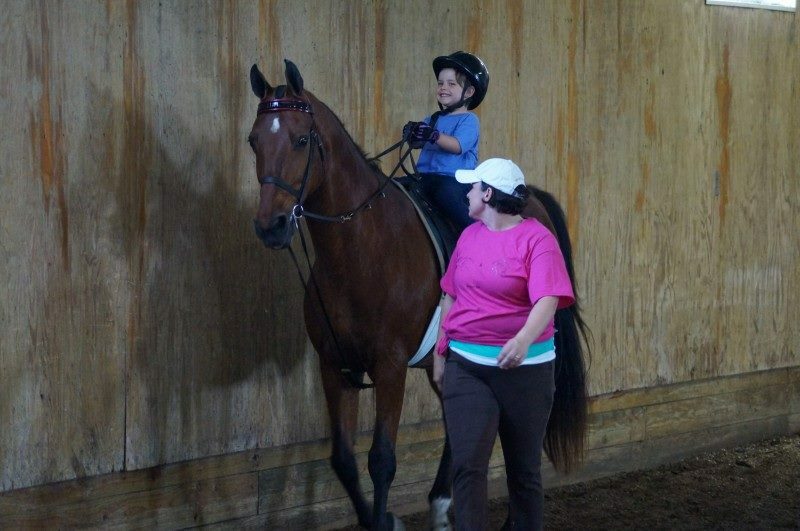 Riding lessons are open to the public, no matter what your age or ability. Lessons are by appointment only so call Sarah today at (262) 894-2526. 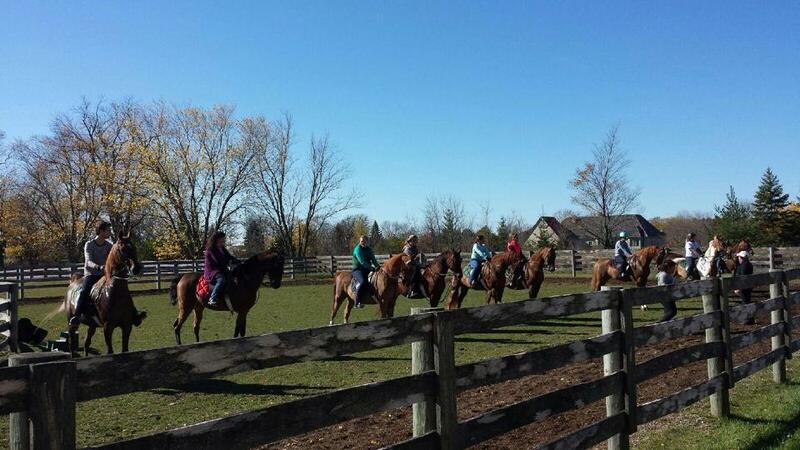 We provide appropriate horses for lesson students to learn how to ride a horse safely. 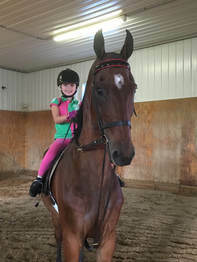 It is not necessary for riders to own their own horse. 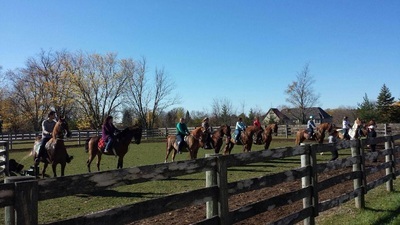 Riders are encouraged but not required to learn how to care for and get their horse ready. Let Highland Ridge tailor a lesson program around your goals and needs! Sarah is the sole riding instructor and is experienced with both timid and assertive riders. 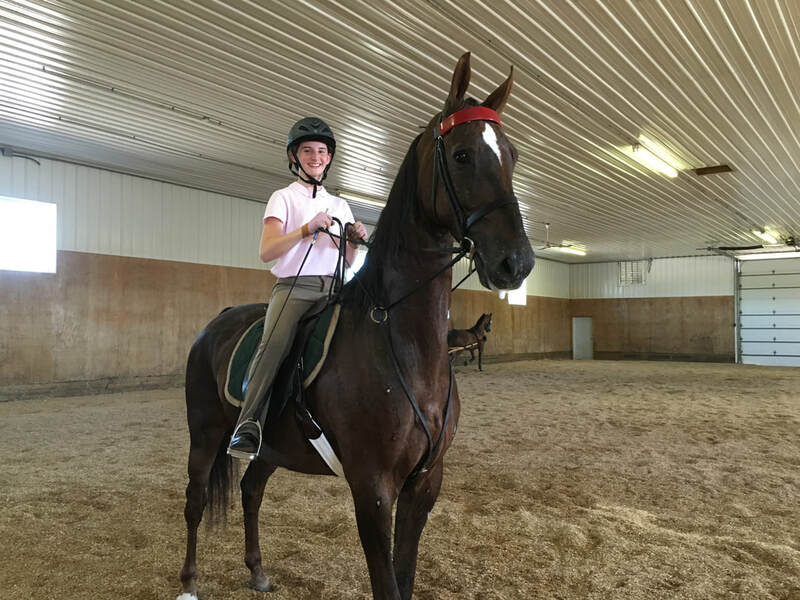 She is kind and patient, but knows how to push riders to their fullest potential. 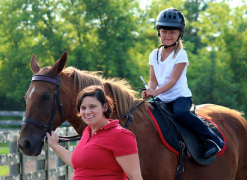 Sarah can help you gain confidence with horses or achieve personal goals in show competition. Highland Ridge Stables wants to reward the returning loyal customer by offering discounted packages time and time again! 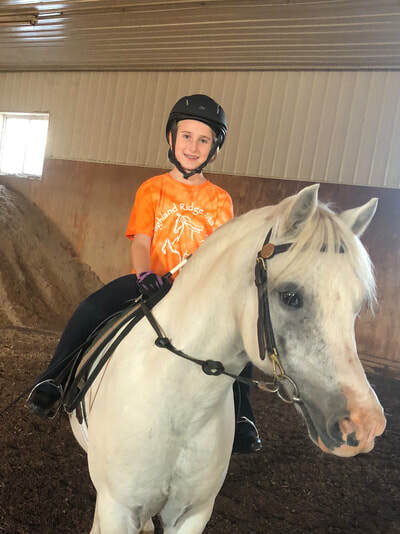 All riding lessons are 30 minutes of Riding Time. This does NOT include any grooming or getting ready time. 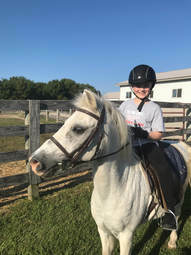 All students under eighteen years of age are required to wear a SEI approved horseback riding helmet. Bike helmets are not allowed. Highland Ridge does provide helmets. Riders are required to always ride in long pants or jeans. No capri pants or shorts. Tennis shoes or boots with a heel are also required for riding and working around horses.